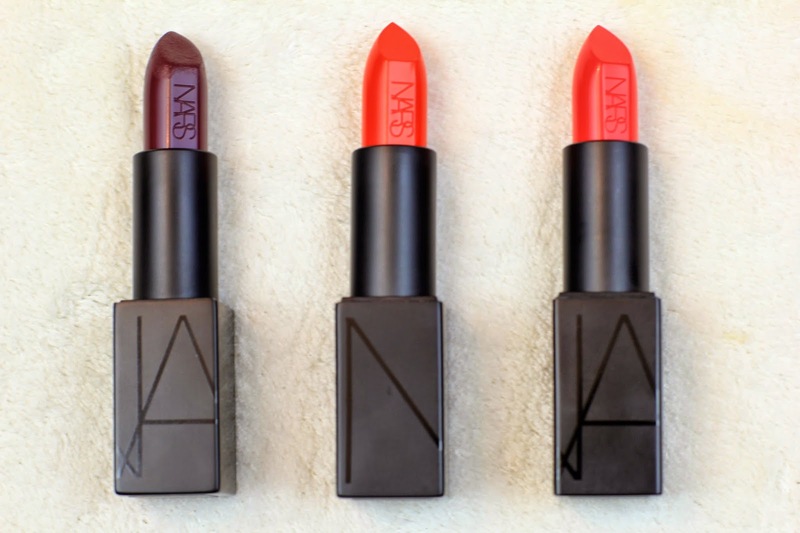 NARS Audacious Lipsticks & Swatches. I’m a lipstick girl, through and through. Nothing else really does it for me. I like a good tinted lip balm, what’re those Revlon ones called? Colour Lip Butters? Those ones, they’re good. I even like lip lacquers and everything else to do with lips actually but lipgloss. I just can’t. I hate them. They’re too sticky and uncomfortable to wear so lipstick is like my makeup soul mate. Not only do I love lipstick, I especially love a bold lip so when I saw some of the brighter shades in the NARS audacious range I was absolutely blown away and knew I had to get my hands on some. These are the ones I’ve picked up so far, I’m sure I’ll be getting more at some point. Liv is a deep purple, its not a berry. Definitely more purple and unlike anything else I own. It looks lovely with pale skin, in my opinion and a neutral eye. Come summer though, I think it will look amazing with a nice deep olive tan. This is a very vampy colour! 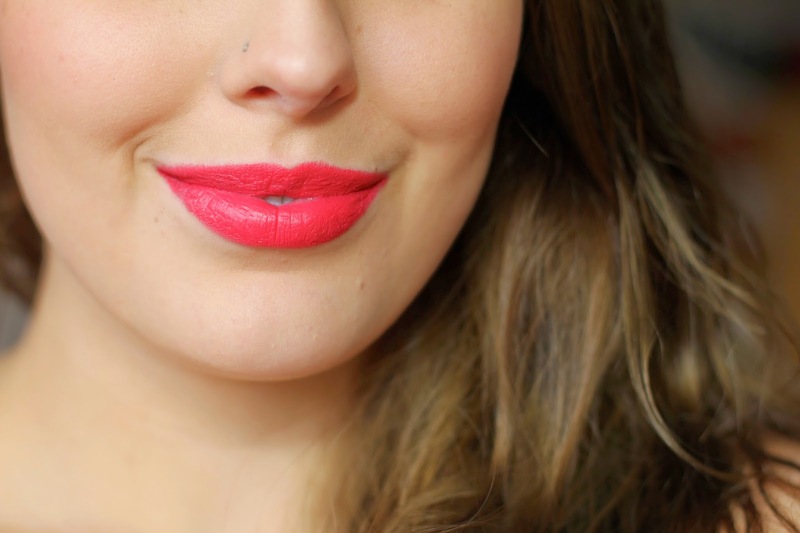 Lana is an orange toned red which is gorgeous, the formula of all these lipsticks is amazing. Lovely and creamy, they’re also amazingly pigmented and so easy to apply. The last one, is grace which is a stunning pink shade. It looks more red in the bullet in the photo above, hence the swatch down below. The packaging is cute and it clicks into place with a satisfying magnetic click. I absolutely love all three of these shades, I may just have to have a look at this range! Such beautiful shades! I especially love Liv – stunning!